Not all blues jeans are created equal. These Ariat Men's 10012552 Flame-Resistant Boot Cut Flint M4 Low Rise Work Jeans are built to handle the heat. These durable men's jeans meet safety standards to ensure you'll be guarded around open flames, potential flash fir ... (see full details) (see specifications) #ARW10012552. Not all blues jeans are created equal. These Ariat Men's 10012552 Flame-Resistant Boot Cut Flint M4 Low Rise Work Jeans are built to handle the heat. These durable men's jeans meet safety standards to ensure you'll be guarded around open flames, potential flash fire environments, and electrical arc flashes. They're compliant with NFPA 2112 and NFPA 70E standards, and they have an Arc Thermal Performance Value (ATPV) of 20 cal/cm^2. With a Hazard Category Risk (HRC) of 2, these Ariat jeans were made to protect you. Since you'll have all of that flame-resistant coverage from these boot cut jeans, do you think they can provide you with anything else? Of course they can! The flame-resistant jeans are all about comfort, too. The 13-ounce 100% ringspun cotton denim is flame-resistant to keep you safe, and it also features no-rub comfort inseams to make sure you're not restricted when you're walking and moving around on the job site. The men's workwear is tailored with boot cut leg openings and a low rise waist to provide you with ease of movement, as well as a comfort fit. There are extra deep front pockets and anchored belt loops for storage and security - and by security, we mean don't forget to wear your belt! The Ariat denim material is dark washed with light hand sanding and tacking to give these Flint jeans that worn in look. You're going to wear them in anyway, though, so they'll be worn in soon enough. With their comfort and safety features, you just might wear them everyday. Order your pair of Ariat Men's 10012552 Flame-Resistant Boot Cut Flint M4 Low Rise FR Jeans today. For your convenience, they're available here at Working Person's Store! Comfy stylish fit over boots. I'm glad they started making these. Most jeans that are fr are not comfy, but these are. The fit is right on for me and true to size, unlike the 6 pair of Carhartt's I ordered. These FR jeans are a comfortable fit. The pockets are deep but not real wide. I do miss having a side pocket like a pair of carpenter jeans. It only took two days for me to tear these jeans on a piece of steel. These are the most comfortable work jeans. I need fr at work and for a while pretty limited for what a guy could buy, these jeans are the ticket. Only draw back is that they a little bit spendy. 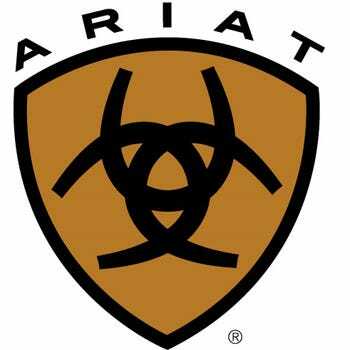 See a lot of Ariat jeans in the oilfield. These jeans by Ariat are a good fitting pair of flared boot cut bottoms. I like the fit and the quality of the material used and will admit that the flame resistant partition wasn't that important but it was a good extra bonus. The jeans are cut perfect for a pair of ropers or work boots and hold up well. Ariat Jeans: Men's 10012552 Flame-Resistant Boot Cut Flint M4 Low Rise Jeans is being added to your cart.